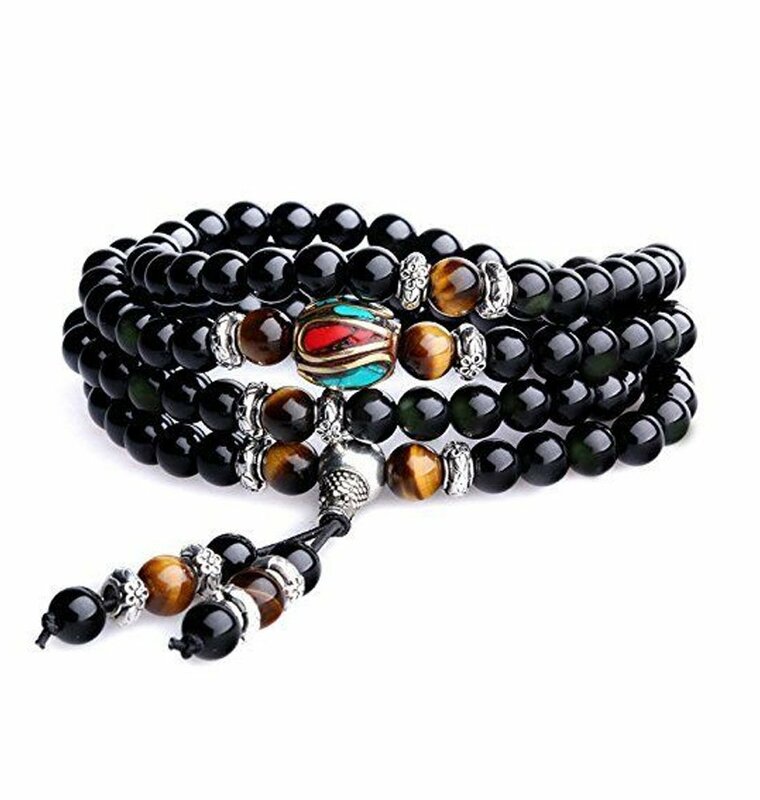 6mm Mini Mala-Tiger Eye and Obsidian Mala with obsidian beads, with Ttger’s eye and crystal markers and a colorful golden focal bead, finished with a silver guru bead and obsidian, tiger’s eye, and silver adornments on stretchy cord. Imported. Obsidian is a naturally occurring volcanic glass. Obsidian has been known since prehistoric times. Pure Obsidian is usually dark in color, though the color varies depending on the presence of impurities. 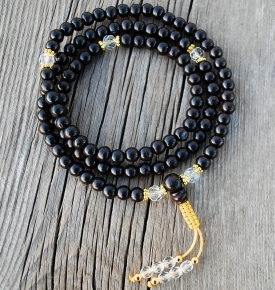 Obsidian: Clears negative thoughts and inspires new, self-improving ideas to help one’s situation in a positive direction. It can also improve psychic links to lost ones and previous lives. 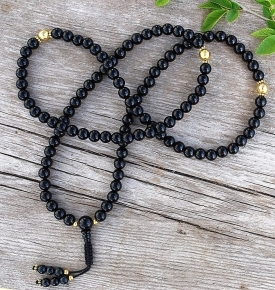 Complimentary Silk Mala Bag included in Price! 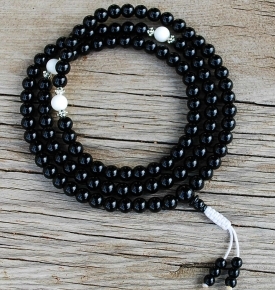 Beautiful mini-mala, which is well made and comfortable to wear. Great for traveling. Is this a necklace or bracelet? I think the combination is stunning. Makes me want it even more. Great design. 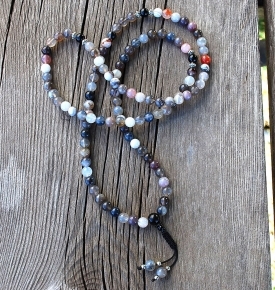 Don’t care too much for the rhinestones but a great Mala altogether.